Logan has been more than successful enough to justify a sequel, but sadly, that’s not going to happen. Hugh Jackman has decided to hang Wolverine’s claws up for good now that his story has been told, but that’s not going to stop the actor from sharing some cool new content on social media from his time playing the iconic mutant. 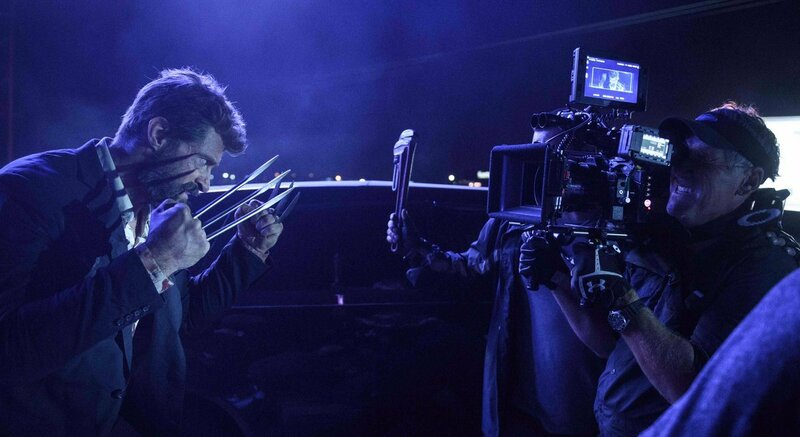 As you can see below, what we’ve got here is a behind the scenes photo of Wolverine from Logan‘s opening sequence as the claws come out and he takes down the thugs attempting to steal the wheels off his limo. In the movie itself, this is a great shot of the hero and a nice way to emphasize the fact he’s not the mutant he once was. With any luck, Jackman will continue sharing images like these for the foreseeable future, especially as the making of Logan promises to be fascinating to see once the Blu-ray is released and we get featurettes, deleted scenes and more. After all, it’s not often we get to see a superhero’s story brought to such a definitive close and learning more about how both the actor and director James Mangold went about crafting this tale is something we can’t wait for. For now, though, this shot will do nicely and the colours in particular really jump out – something which happened quite often throughout the critically acclaimed and gorgeously shot movie. Tell us, what do you think of this new look at Logan? Feel free to share your thoughts in the comments section down below.